It’s tough out there for those of us who are redheads. With superior genetics, passion and desirability, we sometimes have a hard time fitting in with a world full of brunettes and blonds. I get it. We are like unicorns. But even unicorns need a space to bond and celebrate from time to time, and a local bar just isn’t cutting it. 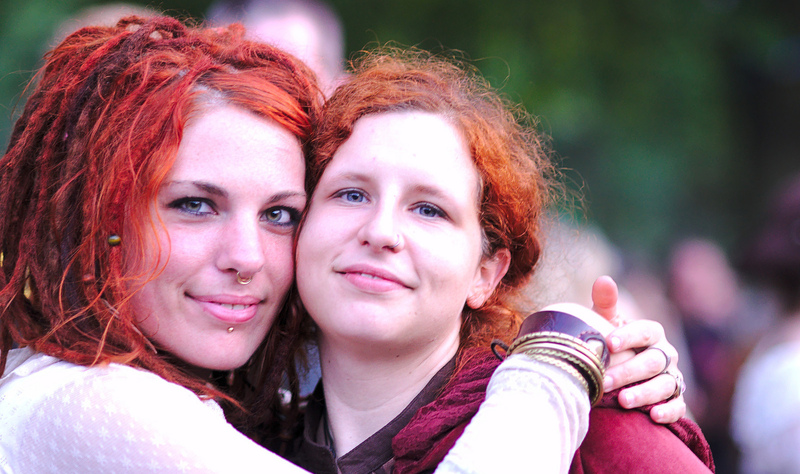 Until recently, the only gathering at which redheads could reliably encounter camaraderie with one another was at the annual Redhead Days celebration in Breda, Holland. Every year, redheads flock to Holland for days of performances, workshops, fashion shows and revelry. It sounds like fun. It also sounds like it’s hard to attend. Sure, I’m proud of my locks of red hair, but a flight across the pond for bonding with other gingers is outside my current capacity. Thankfully, those redheads who reside in the United States no longer have to journey to Holland for the companionship they need. On June 6 through June 7, Highwood, Illinois — located on Chicago’s North Shore — will host the first American iteration of the Redhead Days festival. Organizer Jim Stoecker expects an influx of gingers to flock to the festival for camaraderie and celebration, including ginger-themed beverages, entrees and desserts. Attendees will also participate in what Stoecker anticipates will be a record-setting photo op of the largest gathering of redheads in America. If you are a ginger who happens to live in the Chicago area, head to the festival on June 6 to register for the revelry. The free festival will take place from 10 a.m. to 5 p.m. both days at Highwood’s City Hall Park. And don’t be afraid to bring your little ginger children since the festival is family-friendly. It’s too late for me to attend this year, but I’m looking forward to next year’s celebration already. With a great destination like Chicago and the promise of recognition and shared pride, I’ll likely put the festival on my bucket list. Unicorns, unite!